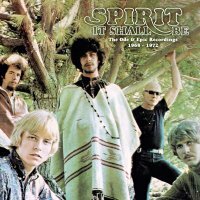 Formed in LA in 1967, Spirit was put together by a friend of Jimi Hendrix, Randy California, and his stepfather Ed Cassidy. The band also featured future Heart bass player Mark Andes alongside Jay Ferguson on vocals and John Locke on keyboards. This five disc box-set covers the band's most prolific years, tapping into Psychedelic Rock, Blues, Pop and Jazz. 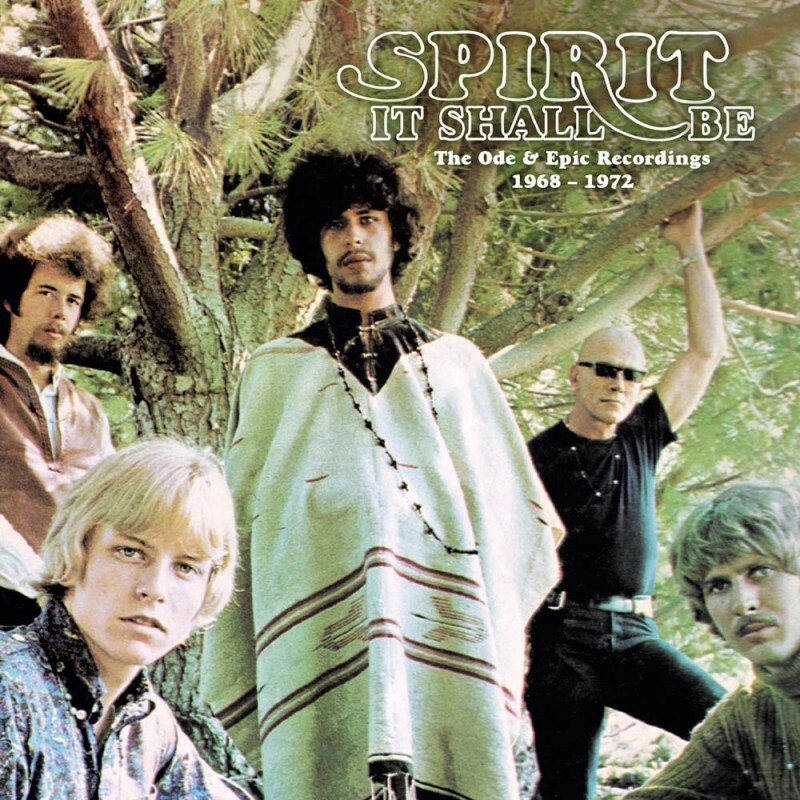 Spirit always seemed on a constant musical journey and here, the first disc covers the debut album 'Spirit'. Producer Lou Adler added a sense of epic to so many songs by using orchestral arrangements, with 'Mechanical World' and 'Taurus' being the best examples. 'Fresh Garbage' has a haunting melody, while the Pop Rock of 'Uncle Jack' and 'Topanga Windows' shows the musical diversity within the band. The nearest the group ever got to a hit single was 'I Got A Line On You' from 'The Family That Plays Together'. The album is a bizarre mixture of Jazz Rock on 'It Shall Be' and religious chants on 'Jewish' – it could all be termed experimental at best! 'Silky Sam' or 'Darling If' gives us slow, sweet Blues Rock that the Grateful Dead made a career out of. 'Model Shop' is essentially a soundtrack to a movie of the same name. The music is unobtrusive, in that it's there to play as background music only, and touches on smooth atmospheric instrumental pieces with the occasional vocal to give the song some identity. 'Clear' offered the wonderful 'Dark Eyed Woman', a hard-stabbing Rock song with an infectious chorus, while 'Apple Orchard' and 'I'm Trucking' is California displaying his talent as a Blues guitar player – Hendrix style. 'So Little Time To Fly' floats along on a simple Pop melody and chord structure, and the orchestral arrangements on 'Ice' and 'Clear' have the band taking their music in wonderful directions that, sadly, they would never return to. 'The Twelve Dreams Of Doctor Sardonicus' is the band's masterpiece, a Psychedelic Rock journey with each song crafted to perfection. 'Natures Way' was by far one of the band's most beautiful compositions, whereas 'Animal Zoo' and 'Mr. Skin' should have been monster hits for the band but sadly weren't. The guitar riffs of 'Nothing To Hide' and 'Morning Will Come' cement California's position as a guitar legend. Unfortunately, interpersonal problems tore the band apart when they should have been reaping the success they had worked so hard for. The only dud on this set is the 'Feedback' album. Now minus California, the band attempted to continue but sounded like a second-rate Doobie Brothers and did the name little justice. Disc four is the debut album mono mix which strangely gives the instrumentation a more individual quality and is, for me, the superior recording. There are a few other alternative takes from the 'Time Circle' mix such as 'I Got A Line On You' which adds little to the original. Finally, disc five is a mixture of B-sides and studio sessions from various albums. The 'Time Circle' mix of 'A Dream Within A Dream' has the vocals so up front you could be forgiven for thinking this was the Moody Blues! With the exception of the incredible 'Potato Land' release, Spirit never really captured their early greatness again. This set captures the band's essential work with a colour booklet and all the discs nicely housed in card sleeves. This is an essential set for any self-respecting music fan.